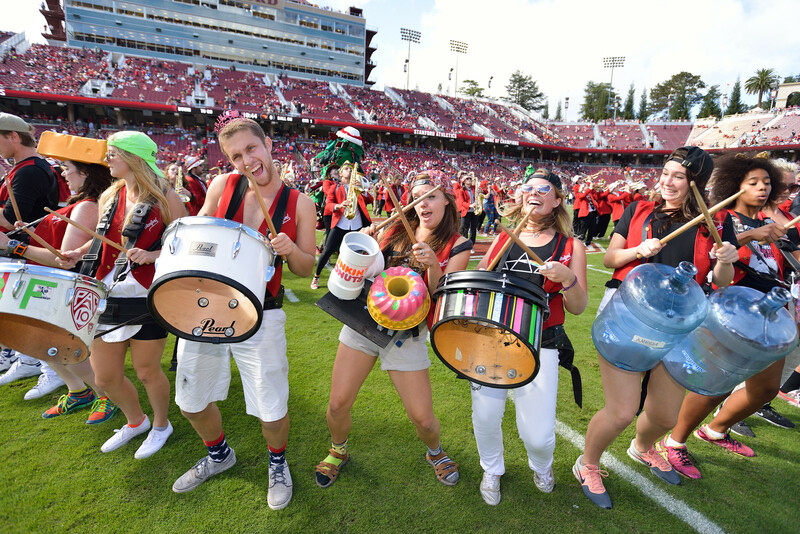 In an attempt to reform the conduct and culture of the Stanford Band, the University has suspended all activities of the band through the 2017 spring quarter. The University has also decided to initiate the process of finding a music director that will manage the band for the first time in its history. We reported that the Band was found responsible for a number of violations of university alcohol, Title IX and organizational conduct policies back in 2015. Over the last year and a half it has been under an alcohol suspension, a travel ban and a requirement that the Band make a series of reforms to improve its culture. Unfortunately, the band has not met those requirements. During the suspension period, a committee will develop a new direction for the band, with direct university oversight by a professional music director. The committee will consult with Band members and alumni, soliciting input on organizational improvements for the Band. As part of the existing travel ban, the Band was prohibited from traveling to the Cal game last month and had been informed that it will not travel to the Sun Bowl on December 30.